Champions of Norrath from Ubisoft is the first game I have ever played where gamers can choose their own story line and path as they embark on a truly remarkable journey to save the world. The game has very good graphics indeed and also game play but I found the choosing your own path feature quite confusing and a little far fetched but the game is still very good. 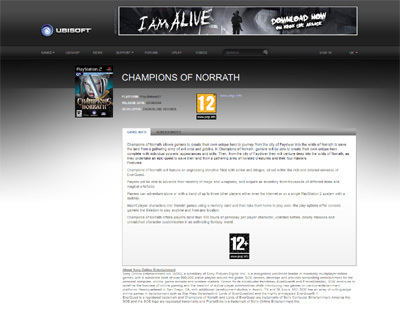 We have also compiled a Review System for this, of which Champions of Norrath is Rated as Four Stars, the second highest possible score available from the Game Review Team.